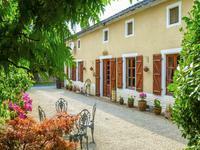 Situated on the edge of a small village near to the market town of Sauzé Vaussais, lovely . . . Stunning 3/ 4 bedroomed barn conversion with large open plan living space, pool and garage in small hamlet. Renovated to a high standard with quality materials this 3/4 bedroomed barn conversion has . . .
A traditional stone farmhouse near to Sauzé-Vaussais, benefitting from being double glazed throughout and has 2 log burners. A good sized traditional stone farmhouse with a large farmhouse kitchen, spacious lounge, 2 . . .
Great value two bedroom house in a village with private garden and attached garage. Sauze . . .
Rare opportunity to buy this bakers thriving business with café and all equipment in prime location. Bakers / café business for sale with all equipment including tables, chairs, ovens, fridges . . .
Fabulous Character stone house dated 1772, 4 bedrooms, 2 acres of land. First class renovation with noble materials, this property is unique ! Set in its own parkland, this property has plenty to offer. An idyllic setting in which to . . .
Building plot with expired planning permission for two bungalows with garage in sought after hamlet location. Building plot with expired planning permission for two bungalows in sought after hamlet . . .
Building plot with expired planning permission for a four bedroom house, detached double garge in sought after hamlet location. 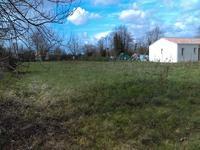 Building plot with expired planning permission for a four bedroom house, detached double . 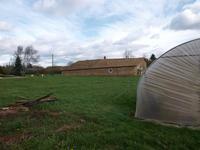 . .
Hangar for garage and mobilhome, plus barn with stable suitable for conversion of 130 m2 with . . .
Lovely old three bedroom stone house in good condition, well maintained, facing south-west. . . . 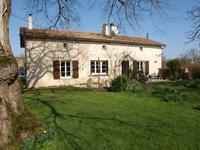 This detached 3 bedroom house is located in a pretty village in Deux-Sèvres. It has a garden . 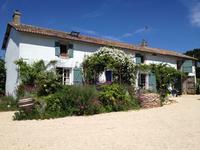 . .
A Charentaise style spacious, 4 bedrooms, house with beautiful views on garden and large . . . Pretty small stone house, roof in good condition, habitable, some refreshments to be done, . 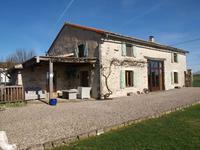 . .
Large house in the centre of a village, on the border Charente, easy access to Poitiers . . .